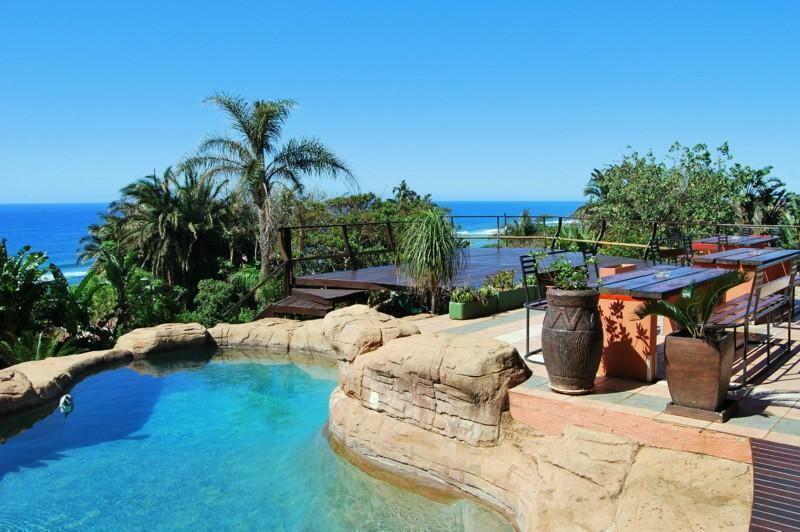 The Blue Sky Mining Backpackers & Lodge is an all year round oasis being conveniently situated in a spacious home in Warner Beach, KwaZulu Natal, just 30 km south of Durban & 65km south of 'King Shaka' Durban International Airport. 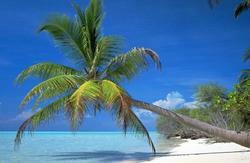 Awesome 180 sea views of the Indian Ocean, unspoilt sandy beaches and pleasant weather are guaranteed. 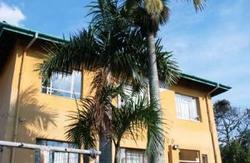 The Blue Sky Mining offers clean, comfortable and affordable accommodation to backpackers, sportsmen, holiday makers as well as business men. Come and explore this spectacular hostel consisting of dormitories with its own showers & toilets, en suite double/twin rooms as well as camping facilities. All accommodation (except camping) gets serviced on a daily basis to make your stay as comfortable and relaxing as possible. The incredible dcor and artwork in- and outside the house will be something you have never experienced in your life before. Sleeping over in a F250 truck is just one of the attractions the Blue Sky Mining has got to offer. We have got a cosy communal lounge with DSTV, dining room area, rock swimming-pool, pool-table, fully equipped self-catering kitchen with refrigeration and storage facilities, braai & fireplace entertainment area, licenced bar and onsite kitchen. 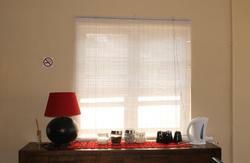 For those in need there is ADSL internet (wireless), laundry service as well as a transport service available. Lucky you, pick ups from Amanzimtoti 'Post Office' and 'Total Garage' are free of charge within 8am to 6pm (shuttle service to be booked in advance, minimum of 2 nights required). For those who are arriving at the new King Shaka Airport please visit www.margate.co.za/minicoach.htm to get some more information on how to get to Blue Sky Mining using a reliable, safe and reasonable form of transportation. Enjoy a hearty breakfast or traditional 'Durban Curry' and many more munchies in our subtropical garden being surrounded by magnificent coca nut, banana and papaya trees. Along the main road we have it all...restaurants and pubs, supermarket, takeaways, chemist, post office, video store & ATM. Looking for some night life entertainment? The art and craft market as well as a few nightclubs are all in close proximity. The Blue Sky Mining is ideally situated for those who would like to catch a wave at some of the best surfing spots along the South Coast. We are just a stones throw away from three subtropical beaches which are protected by lifeguards. The usage of Boogie- and Surfboards is free of charge. Go scuba diving at the Aliwal Shoal, one of the top ten dive sites in the world, and experience a breathtaking underwater adventure. Stunning reefs & wrecks, raggies, zambezi and tiger sharks, abundant fish life, dolphins, - all in all world class diving at its best. The helpful and friendly staff will gladly assist you in booking anything from introductional dive or openwater PADI to shark diving. How to get there? There is a shuttle service available at a cost of R 35.00 p.p./one way. Experience the amazing Sardine Run, taking place in between mid June and mid July. Millions of tiny silverfish make their way up along the coast attracting game fish as well as sharks a natural phenomenon not be missed. Looking for something else to do? Take a professional surf/kite lessons, go deep sea fishing, horseriding on the beach, visit Crocworld or go for a game drive at Tala Game Reserve. The area is also known for its excellent golf courses all along the beautiful coastline of KwaZulu Natal as well as famous events like the Comrades, the Dusi Canoe Marathon and the A1 Grand Prix. Unforgettable trips into the Drakensberg, the Valley of Thousand Hills with its popular Zulu Village Tours, Sodwana Bay, the Wild Coast and many, many more can be arranged at our travel desk. From N2: Take exit 133. Turn towards sea. Turn left into Kingsway Rd at traffic lights. Turn left at Reef Restaurant up Strelitzia Rd (road on the right). Turn left into Meintjies Rd and left into Nelson Palmer Rd No. 5 (with big sun on the gate).